I found this image (film camera--probably why it looks so good!) from a trip we did in Stockholm when Clara was just three. 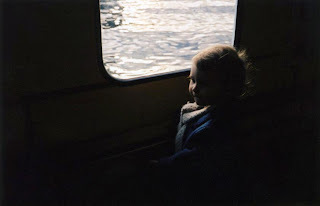 We were on a little ferry boat, and I just love the light and her expression.